• To create an individual member record for the purpose of managing the club and enabling contact and communication with members in respect of club events and activities. • Members’ contact details will be held in a database, in accordance with General Data Protection Regulation (GDPR) 2018; accessible only by the Clubs Executive Committee and Activity Group Leaders on a password protected computer. • We will only share contact information with third parties for the purpose of the relevant club officer providing contact with other Probus organisations to which it is affiliated. • The membership data will not be provided to any other third party organisations or used to forward advertising from third parties. • All emails sent to multiple members will be sent so the recipients’ emails are not visible (Bcc or other methods). 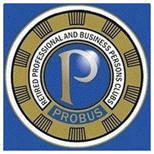 All new and existing members will be required to provide consent to the Probus Club, Ewell for the collection and processing of this information, for the purposes outlined above, having read and understood this policy, via the Membership Application form, on joining the Probus Club, Ewell. Members may ask to review their personal data retained by the club and have it corrected if it is inaccurate. The Club’s Executive Committee undertake to comply with these requests within 30 days. Members have the right to ask that the Probus Club, Ewell, remove their information on leaving the membership of the club by contacting the Probus Club, Ewell via email to secretary@ewellprobus.org.